My parents passed away and the estate is divided into three. We need to divide the household content. Do we value the contents at replacement value and depreciation? There is, for instance, a full Royal Albert 12-set dinner service in excellent condition with a replacement value of R80 000. How would we calculate the value of appliances? There are paintings, imbue and other furniture. What contents are calculated on depreciation and which contents on replacement value? 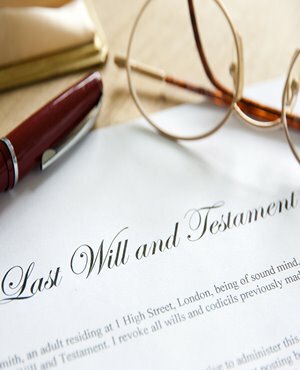 Assets in a deceased estate, both movable and immovable, need to be valued at the current market value of the assets as at the deceased’s date of death. If the estate will be liable for estate duty, then the Master of the High Court will insist that the assets be sworn appraised by a duly appointed sworn appraiser. If the estate will not be liable for estate duty, then the assets in the estate can be less formerly valued, that is it is not necessary to instruct a sworn appraiser. However, if there is likely to be a dispute between the heirs, then we would suggest that you have the assets valued at current market value by experts, for instance, a porcelain or antique dealer who would be able to give you an informed valuation of the current market value of for instance the Royal Albert dinner service. The same would apply to paintings, furniture and other assets in the estate.